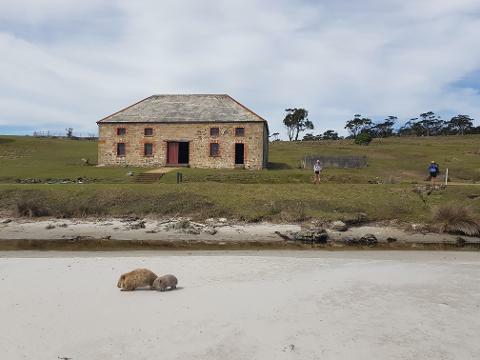 On the Maria Island Walk, you'll explore a heritage listed convict settlement, walk empty white-sand beaches, view rare wildlife, and enjoy gourmet food, all in the confines of a national park. 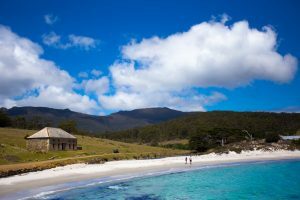 Maria Island National Park lies just a few kilometres off Tasmania's east coast, within easy reach of Hobart. Maria Island is a mountainous island located in the Tasman Sea, off the east coast of Tasmania. 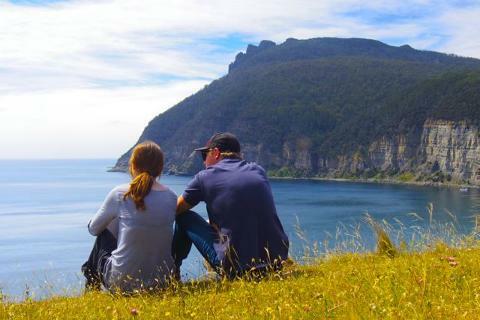 The entire island is a national park, managed by the Tasmanian Parks and Wildlife Service. 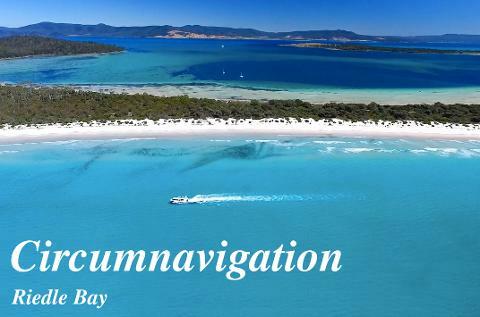 Accessible only by ferry, the island is a native wildlife sanctuary surrounded by peaceful bays, rugged cliff face, and sheltered by tall eucalypt. Steeped in history, Maria Island is also the most preserved and intact example of convict life across Australia. The 115.5-square-kilometer (44.6 sq mi) island is about 20 kilometers (12 mi) in length from north to south and, at its widest, is about 13 kilometers (8.1 mi) west to east. At its closest point, Point Lesueur, the island lies approximately 4 kilometers (2.5 mi) off the east coast of Tasmania. There is one town on Maria Island, called Darlington. It lies near the northern tip of the island. Darlington has several historic buildings and no permanent inhabitants other than a few park rangers. There are no cars other than a few National Parks vehicles. A major highlight is the Fossil Cliffs, where a former limestone quarry stands providing the opportunity to get a close up look at the historic creatures imprinted in the rocks and gaze at the painted cliff surface at Hopground Beach where rippled sandstone is shaped by the water and wind of the coast. Maria Island is a wild paradise that is sure to entrance tourists looking to get away from it all. It is a photographer’s dream come true with breathtaking sunsets and nature shots. Image credit: Great Walks of Australia. Maria Island is a 30-minute ferry ride from Triabunna, about 1.5 hours from Hobart and 2.5 hours from Launceston. The ferry sails to and from the island on a regular schedule. All available sailings are listed when you make a booking. Maria Island is rustic in the best possible ways. This is an ideal destination for those that enjoy “roughing it”. Basic bunk accommodation is available in the old penitentiary at Darlington, as well as free camping at a number of sites around the island. This is a place of great beauty to commune with nature so do not expect any hotels, shops, or internet access. 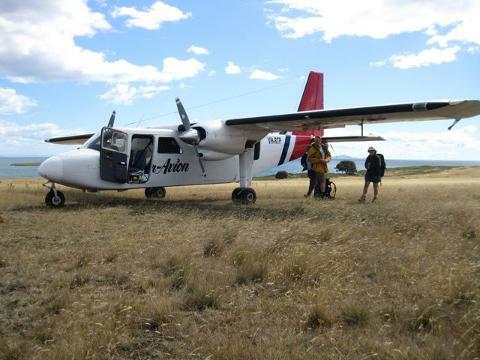 Image credit: Tourism Tasmania and Supplied Courtesy of Ratho Farm. Maria Island has a long and rich history, going back well before the colonial era. In fact, remnants from the Aboriginal people of the Tyreddeme ban of the Oyster Bay tribe can still be seen today. In 1642, the island was named by Dutch explorer Abel Tasman after Maria van Diemen (née van Aelst), wife of Anthony van Diemen, the Governor-General of the Dutch East Indies in Batavia. However, the island is largely known today as a previous convict settlement for two periods in the first half of the 19th century. The island's first convict era took place between 1825 and 1832 and its second - the probation station era - was between 1842 and 1850. Three structures from the first convict era remain in the Darlington area: the Commissariat Store built in 1825 and presently used as the park's reception and visitor center with information about the island; the convict penitentiary, completed in 1828 and now used to accommodate visitors; and the convict-built dam on Bernacchis Creek, which still provides Darlington's water. Convicts sent to Maria Island worked in a number of different industries including timber-cutting, tanning, shoe-making and cloth production. 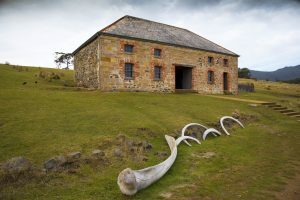 Due to rampant disciplinary problems, Maria Island was closed down and much of the remaining convict population relocated to Port Arthur in 1832. The site was reopened in 1842 as a probation station. A second station was constructed in 1845 at Point Lesueur. Agricultural work was the primary focus for convicts at both stations, but both were closed down in 1850 due to overcrowding. In the 1880s, the Italian entrepreneur Diego Bernacchi launched multiple enterprises on the island. In the early 20th century, Darlington had hundreds of residents and several hotels. However, due to several reasons, primarily the impact of the Great Depression, all of these businesses failed by 1930. Until the late 1960s the island was primarily used for farming. The island was declared a national park in 1971. 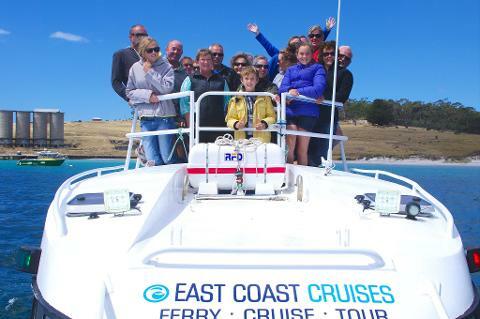 Image credit: Tourism Tasmania and Rob Burnett. The island offers excellent walking and cycling journeys. You could experience a day trip to remember or decide to stay for a 4 day walking tour! Short walks will allow visitors to explore the buildings and ruins of Darlington. 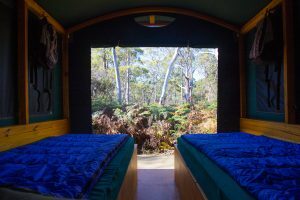 The Reservoir Circuit is sheltered from the coastal winds and provides a glimpse of Maria Island's wildlife and history as you wander through open woodlands into a tall eucalypt forest. For longer walks, be sure to pack food and water supplies. Follow the Bishop and Clerk trail (3 to 5 hours return) over boulders, through steep grassland and woodland and across cliff top overlooking the wild salty sea beneath you. Once you reach the top, take a gander at the majestic views of the Tasman Sea, Freycinet Peninsula and island before you. Depending on how long you decide to stay, you’ll find Maria Island an ideal place for beautiful exploration of land and sea. Distinct plant communities occur on the island in the midst of enchanting eucalypt forest. Nearly all the island's animals are native to Tasmania although some were introduced to the island in the 1960s and 1970s (such as the eastern grey kangaroo, red-necked wallabies and Cape Barren geese) which gives Maria its reputation as an island sanctuary. At dusk keep your eyes open for wombats, Bennetts wallabies, pademelons, Forester Kangaroos, and even Tasmanian Devils. In November 2012 captive Tasmanian devils were introduced to the island to quarantine them from the deadly facial cancer impacting the mainland population. They are cared for by the Tasmania Parks and Wildlife Service staff who live on the island. Other animals include common brushtail and ringtail possums, short-beaked echidnas and three species of snake. 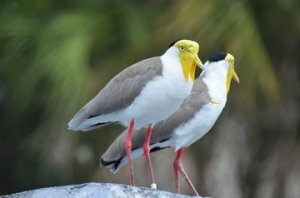 Maria Island is a perfect destination for world-class bird watching, and has been identified by BirdLife International as an Important Bird Area (IBA). The island supports significant numbers of endangered swift parrots and forty-spotted pardalotes, over 1% of the world population of Pacific gulls, as well as populations of most of Tasmania’s endemic bird species. In fact, eleven of the state's 12 endemic species can be seen here, including the rare Cape Barren goose. Tasman Sea, off the east coast of Tasmania.